One of the better season 7 episodes. Lots of food for thought, I had to go back for a second look to get the dates down. Thoretically, Rossi could be visiting this guy for the next 50 years to get victims' names out of him. Maybe they'll live long enough . . . maybe not. That's got to be the most torturous aspect of this case. The unsub was born in Feb. 1967 so that makes him 45 in 2012, and if he lives into his 90's he could live long enough to divulge them all. But whether Rossi lives long enough and is physically and/or emotionally able to bear this burden is another issue. They always say that serial killers make some of the best profilers. By choosing his captor's birthday, this guy couldn't have been much more cruel to Rossi if he had tried. This day has now become a sick and sad anniversary and painful rememberance instead of a joyous day of clebration . It's only after seeing the entire episode that you understand why Rossi was so incredibly distracted at the beginning and why Hotch kept inquiring after his well being. It now also makes sense why the team tried so hard to be at the class and to take Rossi out to dinner. For those of you keeping up with team birthdays, here's another approximate to add to the list: Rossi -- May 9th. The ending had a great twist and I realize that you see the face of the unsub for the first time as Rossi exits the prision interview room! Take that all you fans who complain about knowing who the unsub is too early! Another really good episode IMHO, especially by Season 7 standards. Have to admit that at first I didn't get the difference it makes when the unsub isn't revealed until the end, but indeed that is a common element of most of the best episodes of CM. Thanks to those who first pointed that out, and to the CM writers like Rick Dunkle who have penned many of the very best eps. 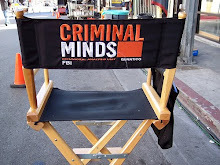 Good ep but I have to say that CM has the worst stylists for the best cast in Hollywood. Fantastic episode! I loved it. Of course, it being a Rossi-centric episode made it extra good for me. I just wanna know who the chick was in his bed. (A little jealous.) I give it an A+! A good episode, gave us a peek into the minds of the profilers and how they catch these unsubs, felt so bad for Rossi and how he has to relive this case over every year so he can give closure to the families of the victims, how soul crushing that must be. Also, i personally don't think those who voice their dislike of an episode or character, are haters, I'm not a fan of the Will LaMontagne character, and this goes all the way back to season 2 when we first saw him, i found him unprofessional and sleazy in that episode Jones, and my view of this character has not changed, no offense to all the Will fans. Even though I didn't get to watch the full episode on Wednesday I do plan on it at a later date. From what I did see it was basically them teaching the college students how to profile. They just used a case that wasn't closed and what hoping the students could help them solve it? Either way I thought that it was an okay episode not like last week's but still a pass. It was different but I was kind of expecting it to be more action packed, not so much like everyone going back to school. From what I read in the other postings Rossi has to relive this case on his birthday? and having to go and confront those families about their children is so heartbreaking. I saw the ending where everyone tried to take Rossi out for dinner, but I don't think a meal would really make him forget what that monster did to those victims. Especially if he has to go through it all over again next year. 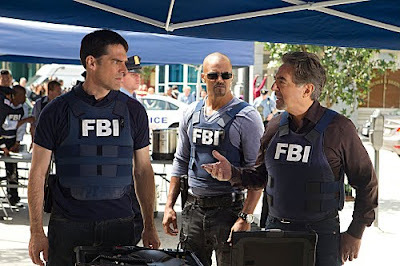 I feel that Hotch should ask Rossi for advice after all it was Rossi that started the BAU. Also Did anyone else notice the guy named Zimmerman in the Hoddie? Kinda made me wonder if the writers were making a statement without really saying anything. Did not think much about it until I watched SVU last night and I seen that case mentioned. can't wait for next week in the mean time rewind the dvr. Happy watching all. I think that when they give us insight on a character's life, regardless of what aspect (personality, background, etc...) it makes us that much more a part of the show. I know it helps me relate emotionally to know what they are going through. They have visited Rossi's twice before that I know of, and each time, to me, it shows why he keeps doing what he does. While I LOVED Gideon, I realize he won't ever be back :-( Rossi is.more than capable. I agree with others in that not knowing the UnSub until the end heightens the suspense and enjoyment factor. I also agree the writing has suffered as of late, but overall I still love the show and will continue to watch faithfully! There needs to be more of Dr. Reid in the future episodes. The show has to remember how alot of us fell in love with CM. It's because of Reid's character. This was a fantastic old school episode. Rossi is my favourite character so no surprise to me that this was the strongest episode of the season, tightly written, powerful, and focused in on profiling and on character. It is probably going to be one of my all time favourites for its insight into Rossi's motivation. Bloody good writing from Virgil.